To claim this profile, please confirm you are Keinaiya Mora. To follow this profile, please let us know your relationship to Keinaiya Mora. The Dominguez varsity basketball team lost Wednesday's home playoff game against Northview (Covina, CA) by a score of 67-47. This game is part of the "2019 CIF Southern Section Ford Girls Basketball Playoffs - Division 4AA" tournament. Keinaiya had 2 photos tagged from the game against Lynwood. 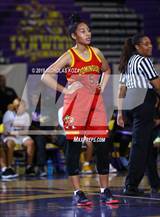 Keinaiya's basketball stats have been updated for the win vs. California Academy of Math & Science. RESULTWin Girls varsity basketball vs. CAMS. The Dominguez varsity basketball team won Saturday's neutral playoff game against California Academy of Math & Science (Carson, CA) by a score of 51-43. Keinaiya's basketball stats have been updated for the win @ Nogales. RESULTWin Girls varsity basketball @ Nogales. The Dominguez varsity basketball team won Thursday's away playoff game against Nogales (La Puente, CA) by a score of 52-36. Keinaiya's basketball stats have been updated for the win vs. Warren. RESULTWin Girls varsity basketball vs. Warren. The Dominguez varsity basketball team won Thursday's home conference game against Warren (Downey, CA) by a score of 52-45. Keinaiya had 9 photos tagged from the game against Lynwood. Keinaiya's basketball stats have been updated for the loss @ Lynwood. RESULTLoss Girls varsity basketball @ Lynwood. The Dominguez varsity basketball team lost Tuesday's away conference game against rival school Lynwood (CA) by a score of 77-42. 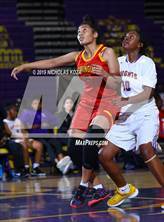 Keinaiya's basketball stats have been updated for the win @ Paramount. RESULTWin Girls varsity basketball @ Paramount. The Dominguez varsity basketball team won Friday's away conference game against Paramount (CA) by a score of 63-46. Keinaiya's basketball stats have been updated for the loss vs. Downey. RESULTLoss Girls varsity basketball vs. Downey. The Dominguez varsity basketball team lost Wednesday's home conference game against Downey (CA) by a score of 49-43. 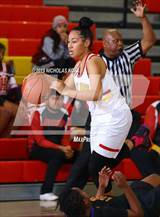 Keinaiya's basketball stats have been updated for the win vs. Gahr. RESULTWin Girls varsity basketball vs. Gahr. The Dominguez varsity basketball team won Friday's home conference game against Gahr (Cerritos, CA) by a score of 54-37. Keinaiya's basketball stats have been updated for the loss @ Warren. RESULTLoss Girls varsity basketball @ Warren. The Dominguez varsity basketball team lost Wednesday's away conference game against Warren (Downey, CA) by a score of 53-46.